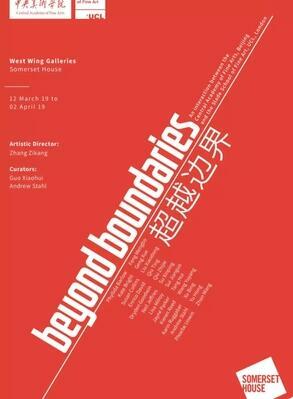 Beyond Boundaries is an exhibition of work by 24 artists of international renown with close working associations to two of the most important art institutions in the world; the Central Academy of Fine Arts, Beijing (CAFA) and the Slade School of Fine Art, UCL, London. Timed to celebrate the centenary of CAFA, and 150 years of Slade, it highlights the historic contribution these two great organizations have made in nurturing artistic vision, arts education and the role artists as educators. The exhibition features recent work, ranging from painting to sculpture and to new digital media, by leading names in British and Chinese art; including Liu Xiaodong, Phyllida Barlow, Sui Jianguo, Dryden Goodwin, Xu Bing and Lisa Milroy. Co-curated by CAFA’s Guo Xiaohui and Andrew Stahl, Professor of Fine Art at the Slade, with artistic direction by Zhang Zikang, Director of the CAFA Art Museum, Beyond Boundaries is a dynamic sample of current artistic practice in China and the UK. The arts have traditionally played a vital part in cross-cultural exchange and during a time when the art discourse is evermore international. Beyond Boundaries focuses on the work of leading artists who have played a fundamental role as educators in both China and the UK and this exhibition opens up this process up to a wider audience. Professor Andrew Stahl states: ‘as teachers and artists we want to communicate the excitement of making art and encourage students to pursue their own individual visions while providing them with access to contemporary discourse; the Slade presents their students with a giant argument about what contemporary art should be’. What conclusions can be made from the rich offering of art from China and the UK, CAFA and the Slade, presented at Beyond Boundaries? Chief Curator, Guo Xiaohui suggests, ‘all art is a conversation, a dialogue between diverse histories, cultures and viewpoints. Art celebrates difference and creates a space where we can come together and understand better where we have come from – and where we would like to go’. Beyond Boundaries will be accompanied by an exhibition catalogue and an educational programme including talks and tours by the curators. The exhibition showcases work by artists from CAFA including: Feng Mengbo, Geng Xue, Liu Xiaodong, Qiu Zhijie, Su Xinping, Sui Jianguo, Tang Hui, Wang Yuyang, Xu Bing, Yu Hong and Zhan Wang and artists from the Slade School of Fine Art including: Phyllida Barlow, Kate Bright, Susan Collins, Enrico David, Dryden Goodwin, Neil Jeffries, Lisa Milroy, Jayne Parker, Kieren Reed, Karin Ruggaber, Andrew Stahl and Phoebe Unwin. Courtesy of the artists and CAFA Art Museum.